Double-ceremony weddings are always challenging to photograph, but I love shooting them. This fusion wedding included both a Catholic church ceremony and an outdoor Hindu ceremony. 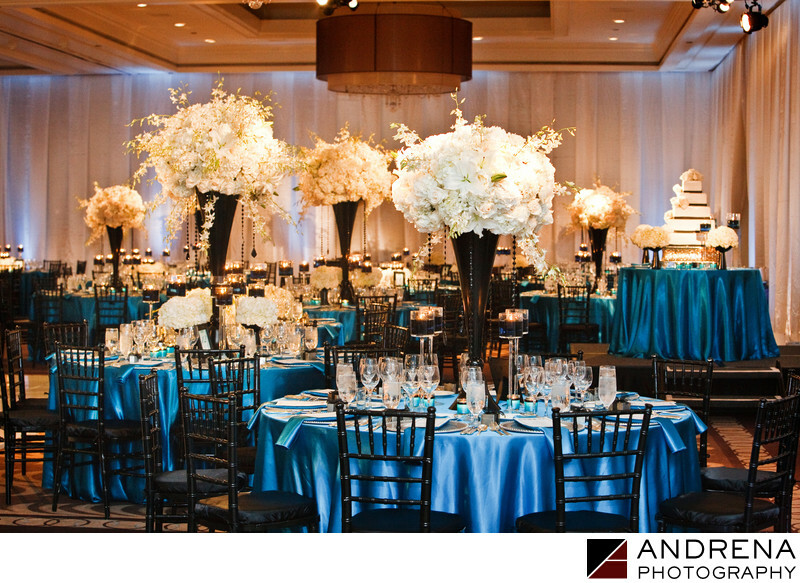 For the reception decor, florist Square Root uses white, black and turquoise. Tables included a bottle of vodka, which was a nod to the groom's Polish ancestry. The couple also did an after-party lounge complete with desserts, hamburgers from In-N-Out, and go-go dancers.